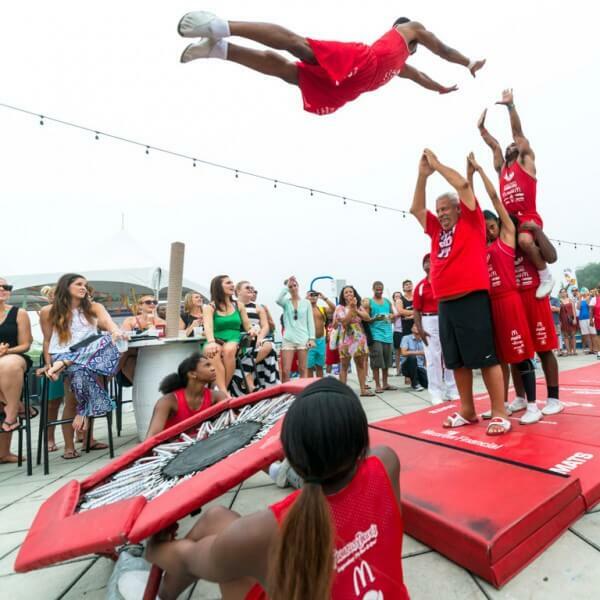 The Jesse White Tumblers perform at Castaways. 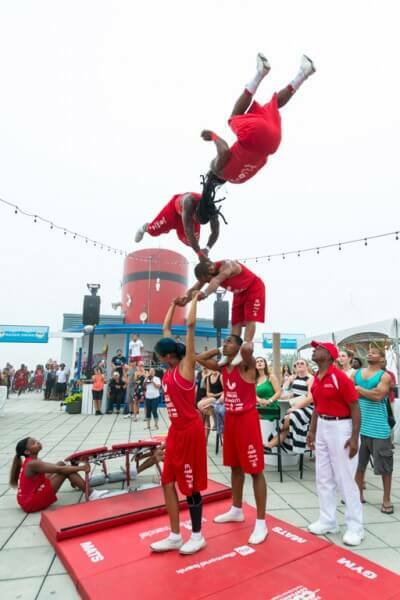 The Jesse White Tumblers amaze Castaways patrons during a recent performance. 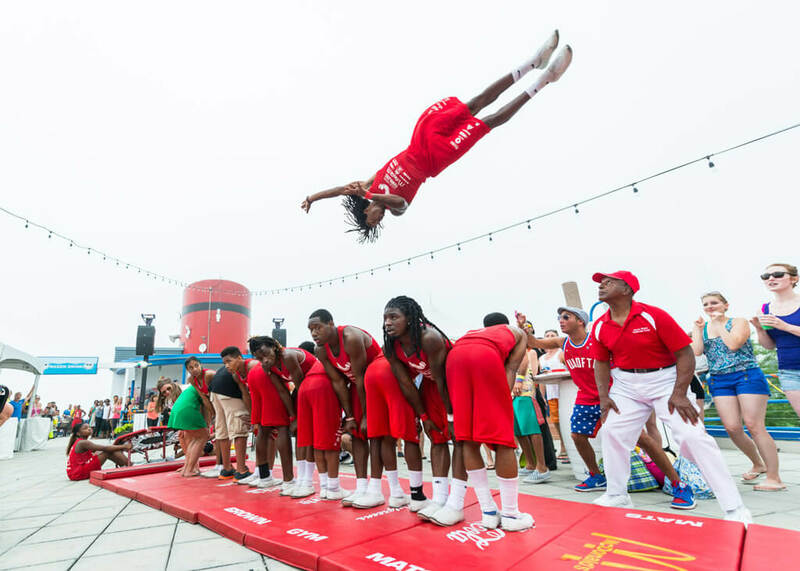 The Jesse White Tumblers helped celebrate the 15th anniversay of Castaways. 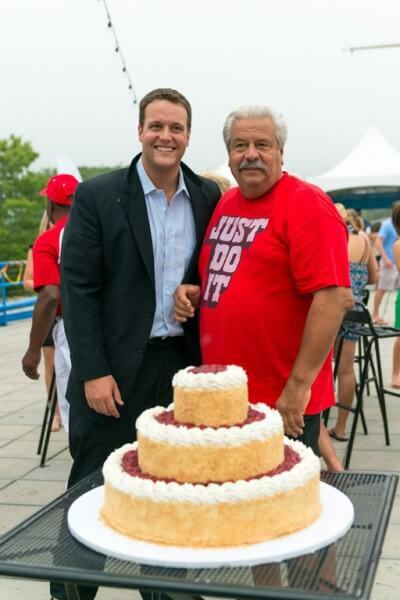 Phil Stefani (right) celebrates the 15-year anniversary of Castaways with an Ice Bucket Challenge Fundraiser. 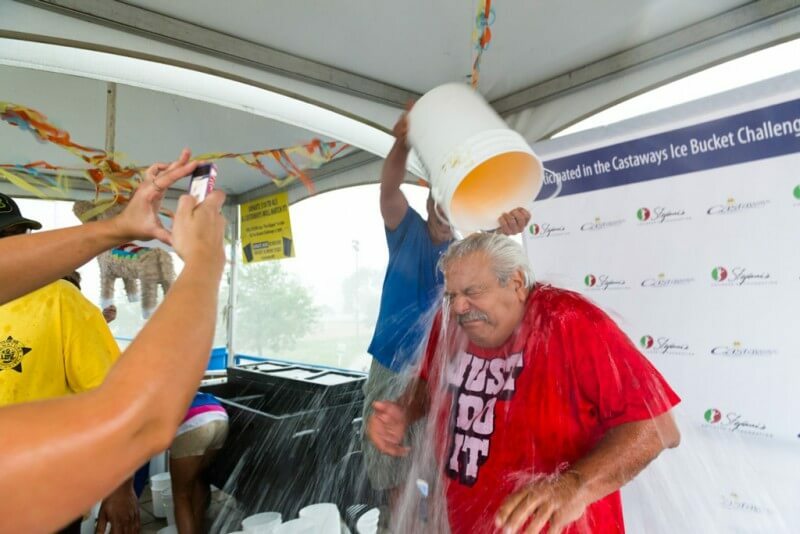 Phil Stefani receives the Ice Bucket Challenge. 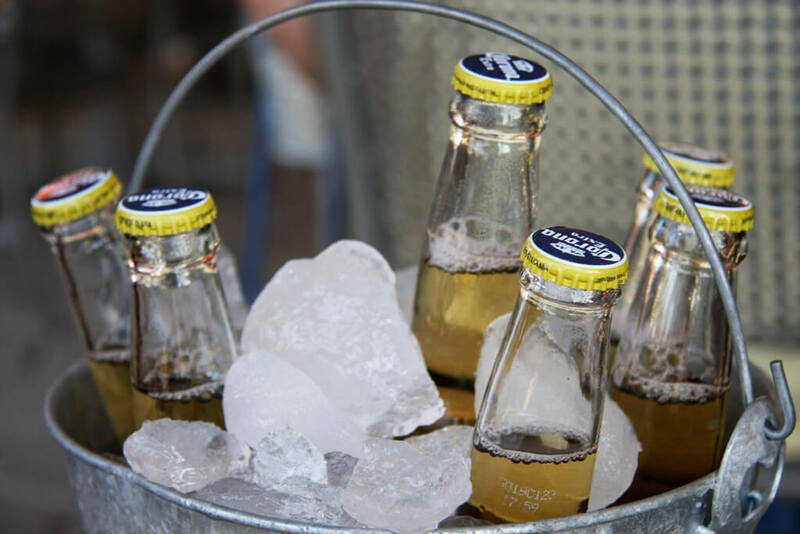 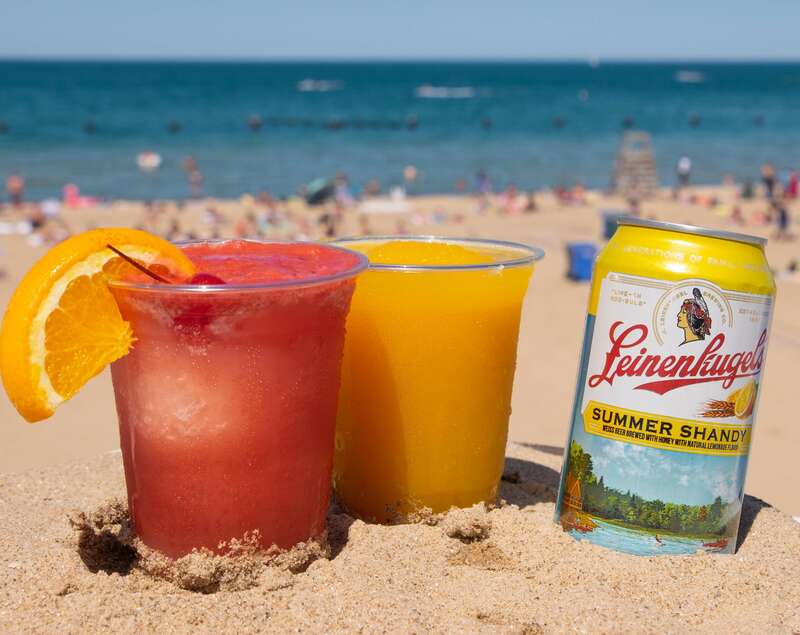 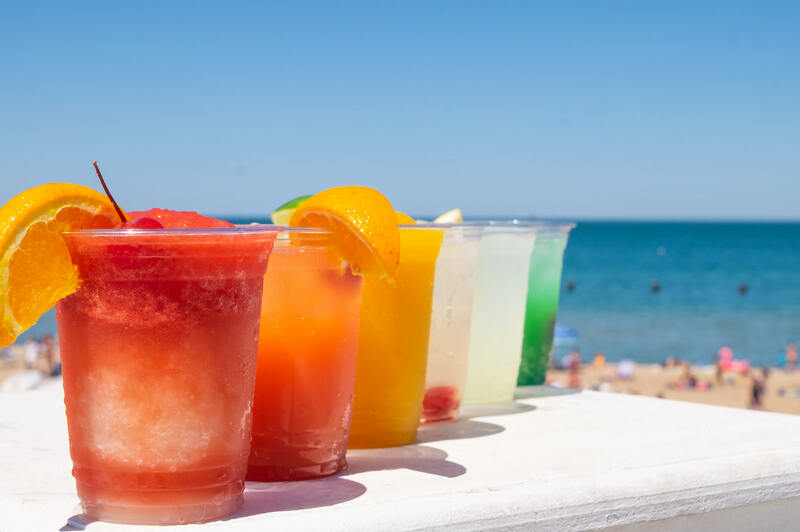 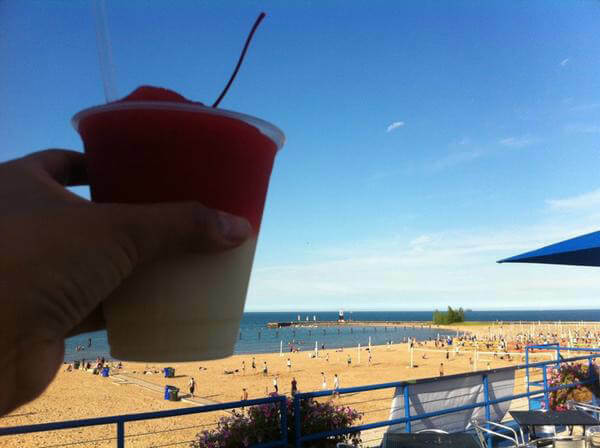 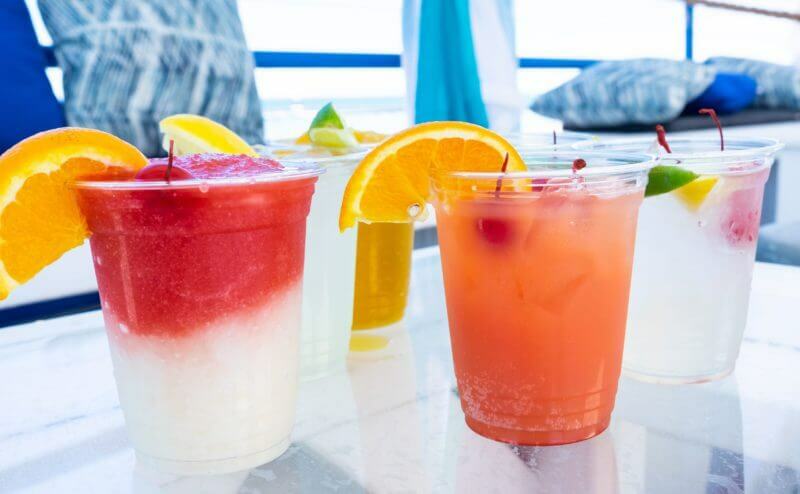 Castaways serves a full range of beverages right on the shores of Lake Michigan. 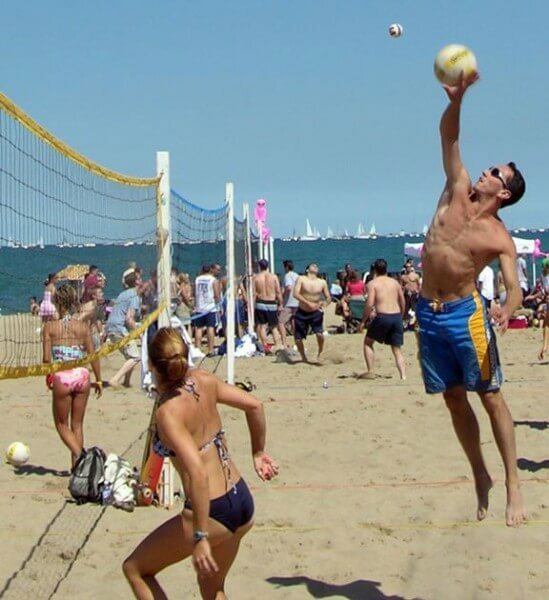 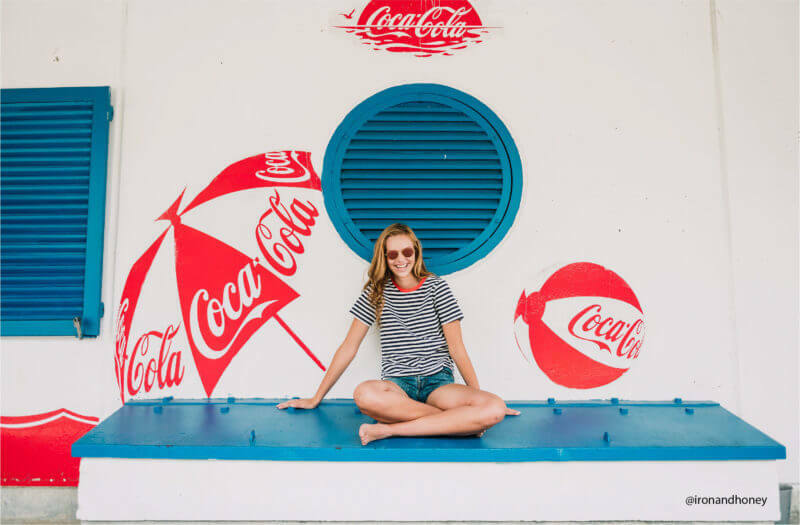 Stop by Castaways to refuel after a beach volleyball game! 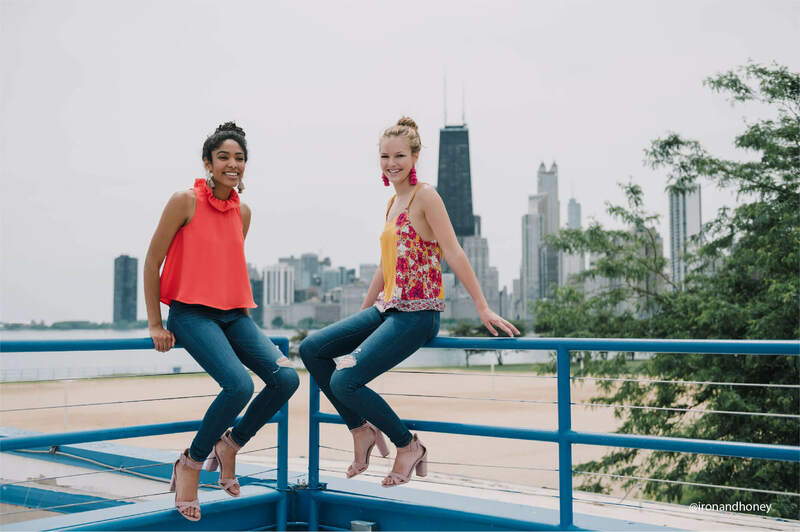 Castaways is Chicago's premiere lakeside bar and restaurant. 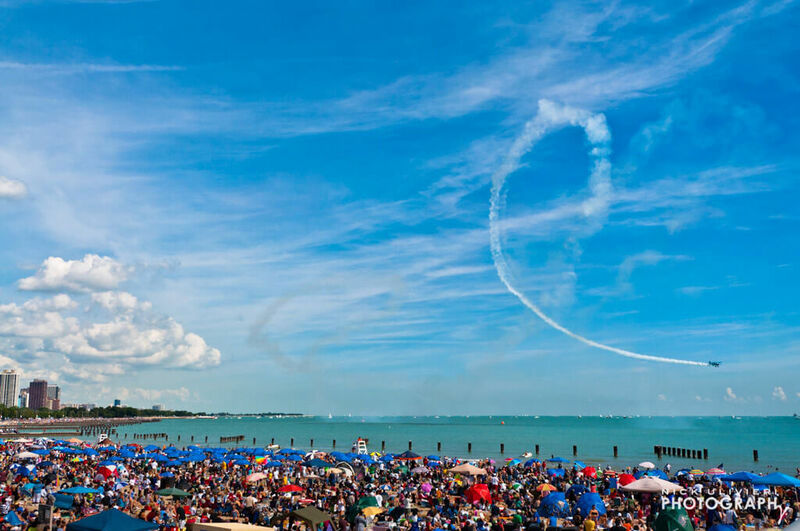 Join Castaways for the annual Chicago Air and Water Show in August. 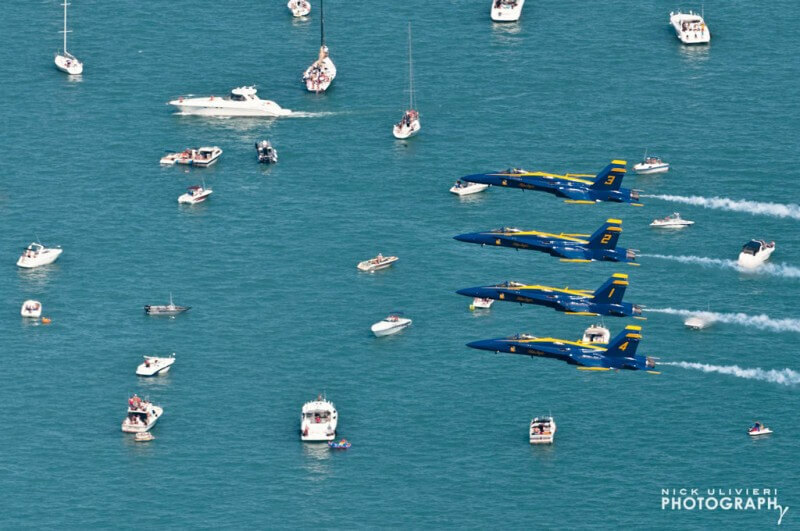 Castaways is the perfect spot for viewing the Annual Chicago Air and Water Show. 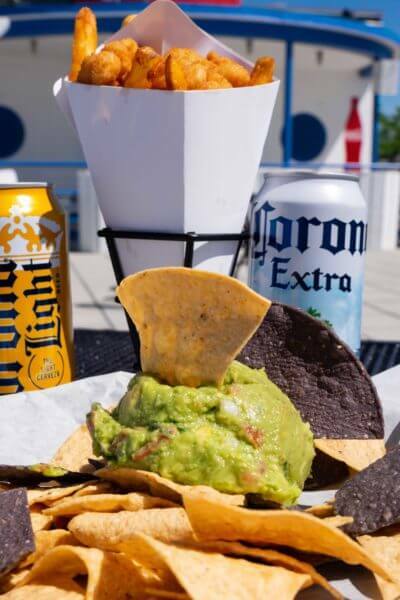 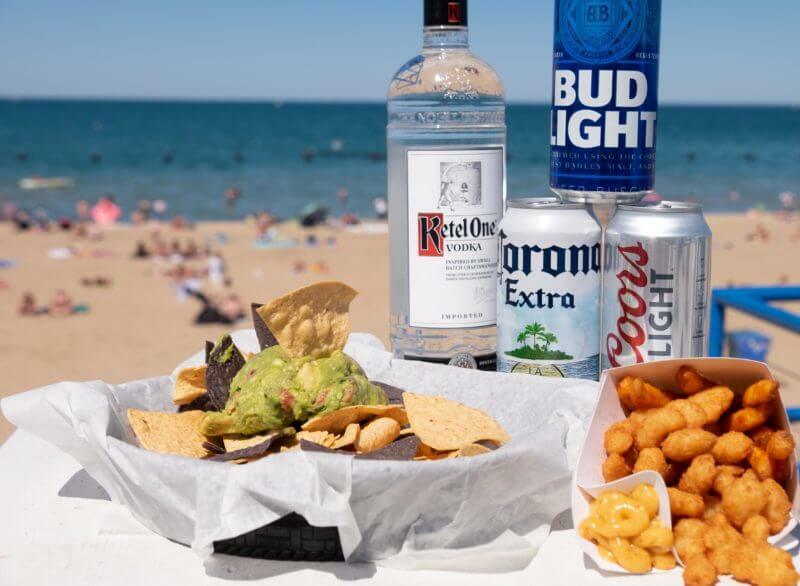 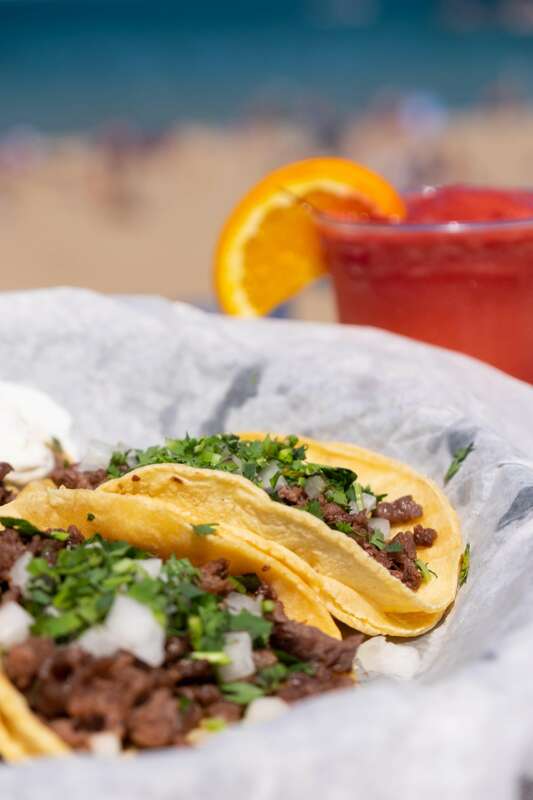 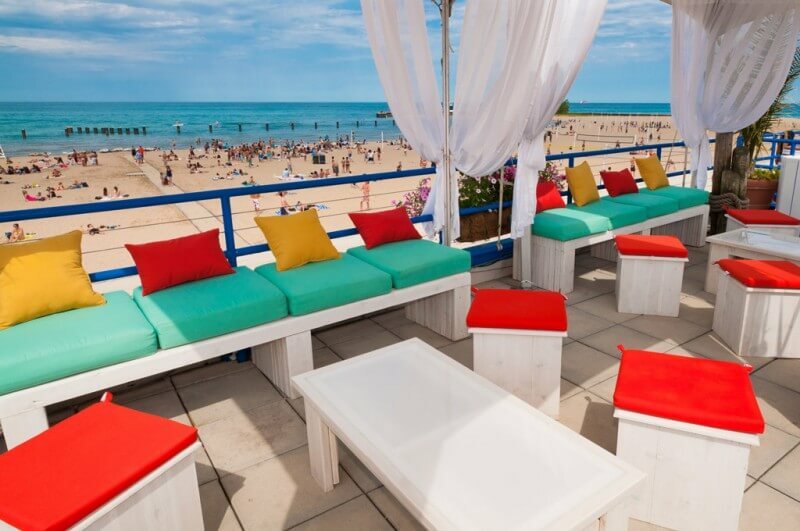 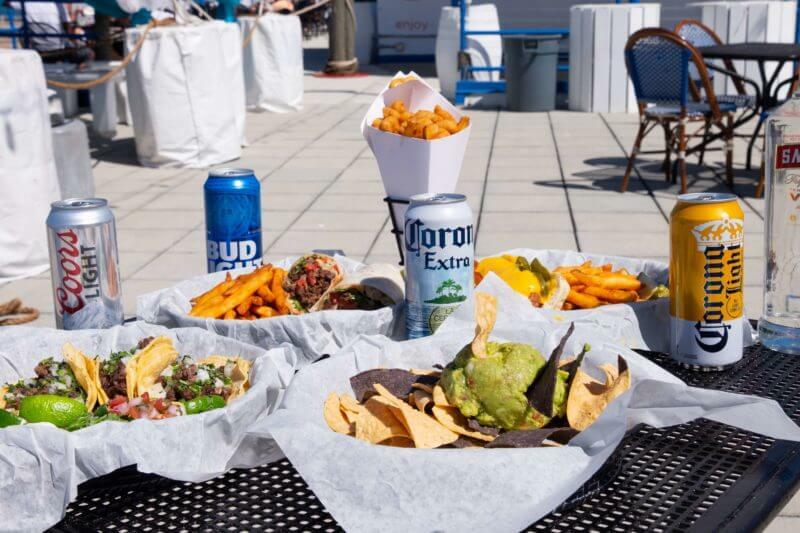 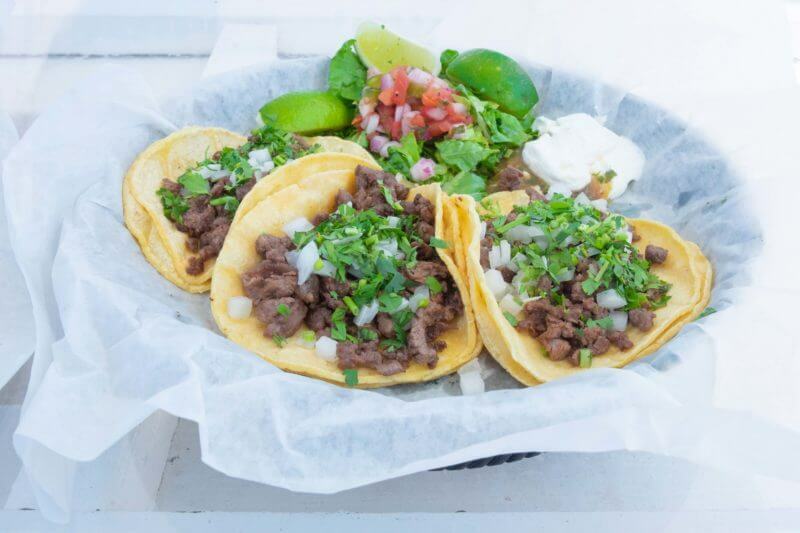 Castaways is conveniently located on Chicago's North Avenue Beach. 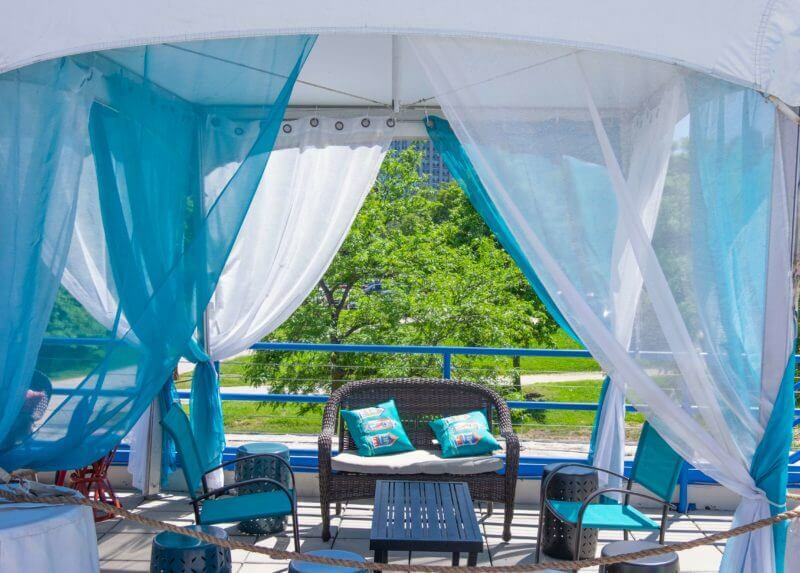 Our two Castaways Cabanas are located on the north end of our Upper Deck. 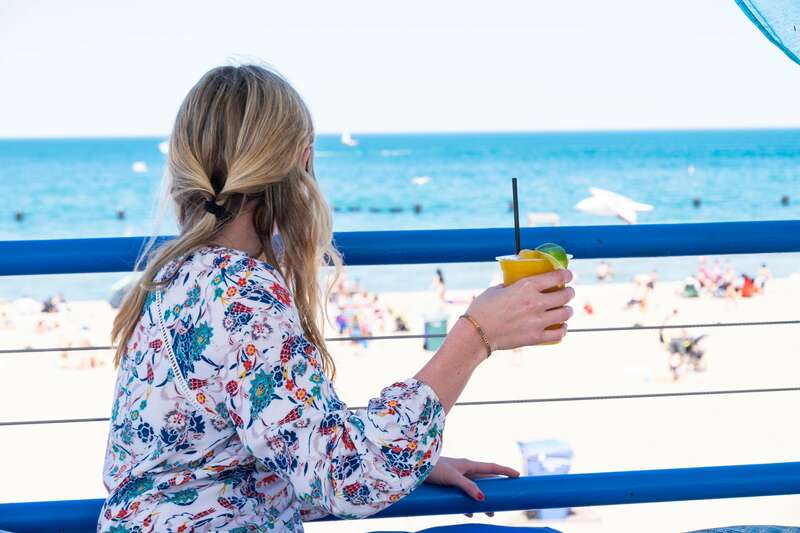 Enjoy the beauty of Lake Michigan from Castaways at North Avenue Beach. 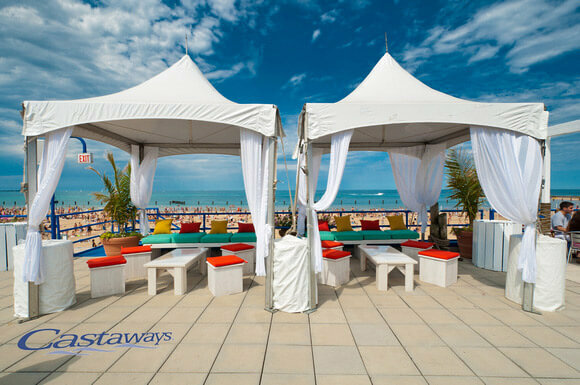 Rent a Castaways Cabana from 11am-7pm every weekend from Memorial Day to Labor Day. 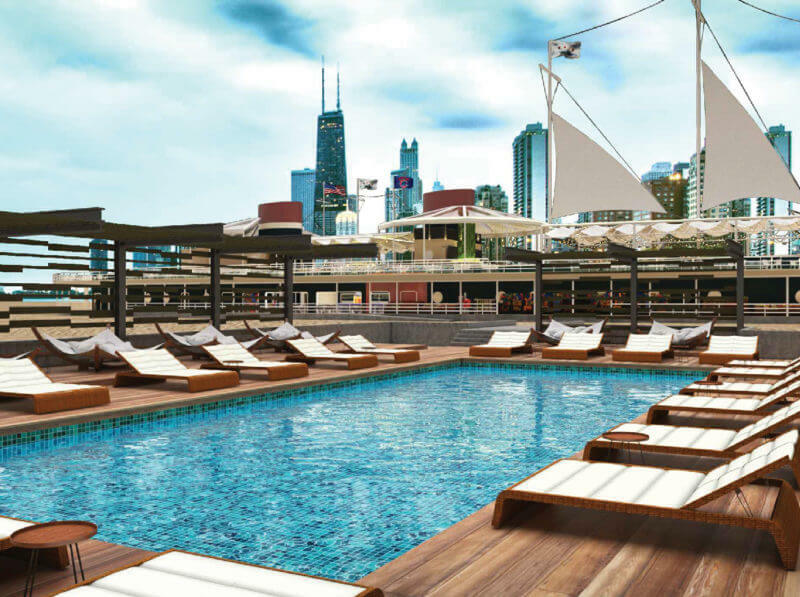 Contact Colleen about reserving your cabana at afrankos@stefanigroup.com. 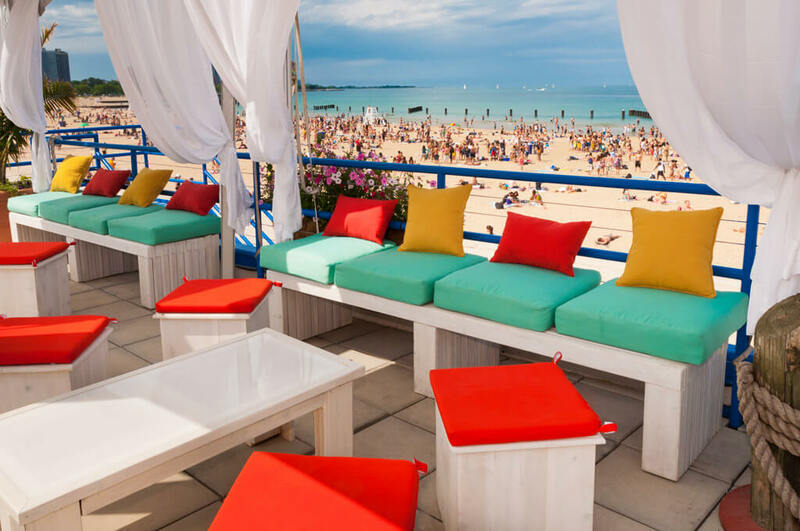 Castaway Cabanas hold 10-12 people. 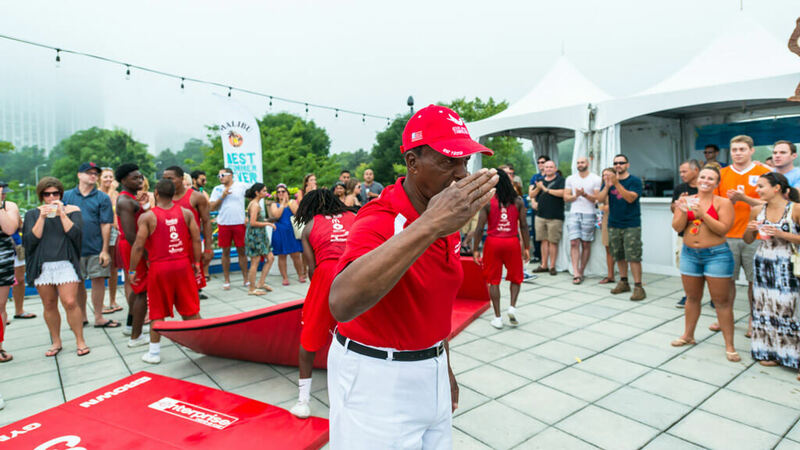 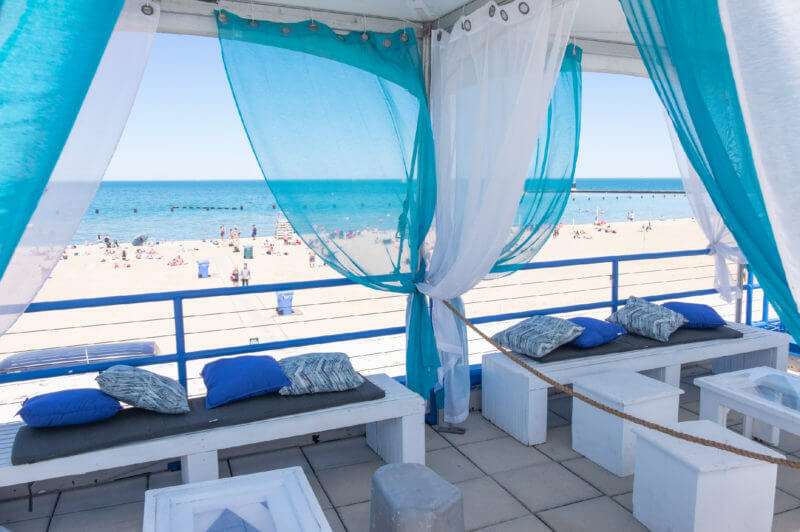 Castaways Chicago Cabanas are perfect a private summer party!